"I am passionate about showing my clients how to look their best for any occasion." We only have one chance to make a great first impression. Let me do the thinking for you! If you have ever shopped in Warehouse, Oasis, Coast or Miss Selfridge – or dallied with the likes of Karen Millen – Caroline has ‘touched’ your life! Caroline has worked as a Senior Buyer for these key brands and brings her extensive industry experience to her role as your Personal Stylist. Having a sneak preview of the Resort Collections it was refreshing to see lots of unexpected and uplifting colours to get us through the winter gloom! For a sartorial refresher (sic) why not try a Drop of Lemon mixed down with black or teamed with denim for a casual look. 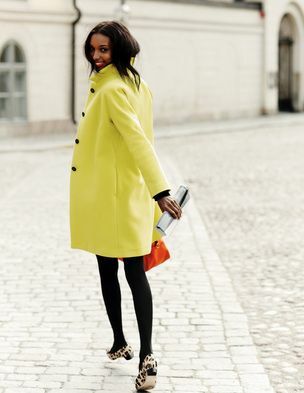 The key item for transition is a Lemon Duster Coat as seen by Stella Mc Cartney or try Boden’s Acid Yellow version as below. For the less bold – try adding a pop of colour with lemon courts (see below) or just a bag or scarf for an instant style update . 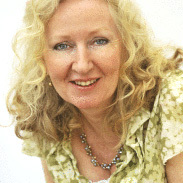 Caroline is a Style Consultant and Personal Shopper based in Berkshire and London. Call now if you need any free advice on your Style Dilemma’s on 07732 904831 or e -mail caroline@carolineshaw.co.uk. I would love to hear from you. Please feel free to pass this on to any friends who may be interested. Pale Blue is the new statement colour of the Autunm season . Swoon over cosy cashmere knits, mohair coats and fur gillets in this truly lovely colour. It’s a look women of all ages can wear – use Pale Blue to freshen up greys or camel with ease. For the more adventerous -try teaming Pale Blues with hot red tones or animal print trousers . This Season Reiss ‘s Autumn collection has a great selection of Pale Blue cashmere knits in both fine and chunky gauages and a wonderfully elegant belted coats. 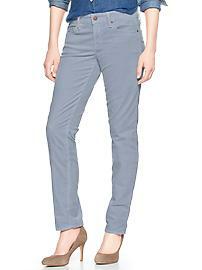 For a more casual look try Gap for their Baby Blue Cords . If you would like more Style Ideas how to wear Pale Blues please visit my Pintrest board Baby Blue . is a Style Consultant and Personal Shopper based in Berkshire and London. This Autumn it’s all about clashing combinations of all types of prints. The more the better! Love this subtle mix of a spotty blouse, paisley scarf and leopard skin heels offset with a green bag – perfection! It’s also a great way to create an instant new look without spending a penny! Be inspired to mix – up Florals with Graphic prints and accessorise with a pop of colour using a highlight colour. 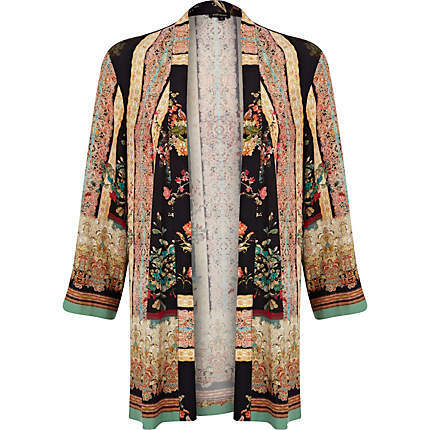 Just dig out any print tops and and patterened jackets and be inspired to create your own unique Autumn look. I’ve picked these images for you as Style Inspiration – for lots more ideas and pattern combinations see my Pintrest Board –Pattern Mix. Donna Karan (above) and Vivienne Westwood are real enthusiasts for this look and understand that it really works for the older woman. Glamorous grown-ups have fanatstic shoulders ; it’s a place where almost nothing can go wrong! A flash of tanned shoulder is sensual and easy to do plus it can help balance out the hips. Its a look that works well on any body shape – weather you have soft curves or a more angled frame. Thankfully for us, this 80’s inspired look is coming back – I love this cut away shoulder top by Oasis. My choice for the best feminine & slouchy off – the -should knits is Whistles. Style up a luxury knit over a vest and slim jeans. Keep an eye out for many of the cut away shoulder styles that will arriving be in stores soon. Caroline is a London based Personal Shopper and Stylist. If you have any Style Dilemma’s please just ask! I so love this look! It’s just so fresh and sassy and an ideal look for late Summer. 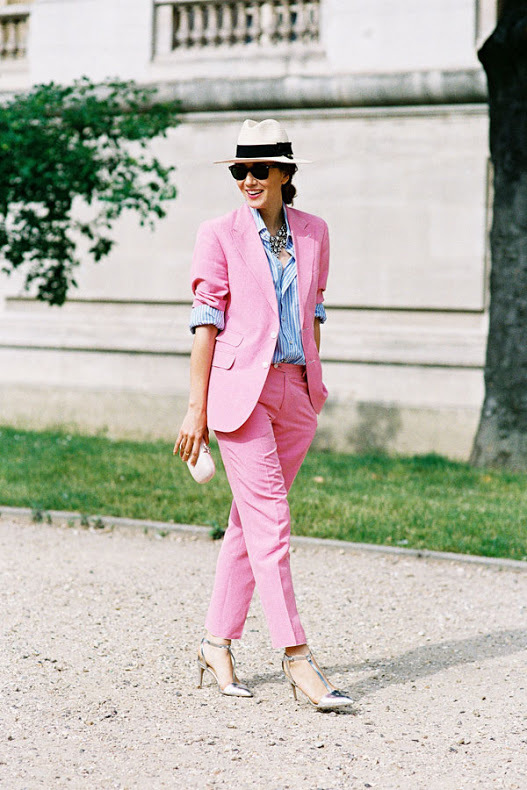 A genius mix of mannish tailoring in the sweetest Candy Pink creates a sharp contrast, topped off beautifully by the fedora hat and vintage jewels. No problem ! As Pink has painted itself as THE most desirable colour of the Autumn Season. Be prepared to see an explosion of Pink Hues from the palest Rose Blush to Neon Candy Pinks hitting the High Street in every conceivable style. Pink can be a refereshing injection of colour to pep up Autumn’s navy and greys. Alternatively add in flashes of your favourite shade of pink in accessories or a bright lipstick. I have just fallen in love with these beautiful crochet slips- ons by TOMS . They come which come in a variety of pretty sorbet colours to freshen up any summer outfit. I adore everything the TOMS brand stand for. Basically when you buy a pair of TOMS shoes a disadvantaged child receives their own much needed pair of shoes. Read more about TOM’S “ONE FOR ONE ” pledge here. They are just so comfy and easy to wear and add a touch of femininity to any casual outfit. Totally perfect for your summer in the city look. Trade in you flip – flops for a pair of these beauties and never look back. TOMS crochet slip -ons work brilliantly with both dresses and shorts – what not to love! Caroline is a leading London Personal Stylist and Personal Shopper . Many thanks to Mike Larson Private Estate and Wedding Photographer for the use of the image. 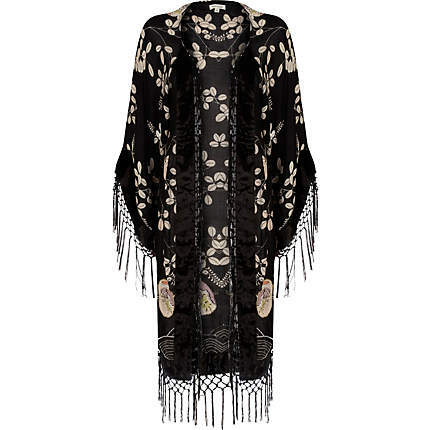 I’m really excited that Kimono’s are having a moment as they are a brilliant piece for an instant wardrobe update and great for disguising lumps and bumps ! They work beautifully as a Trans Seasonal item and are just perfect to Wear Now – Wear Later all through the Autumn season. What not to love! I have been scouring the High Street for the best picks and am loving the fab selection at River Island which are also a total bargain at around £35.00. Throw on over boyfriend jeans for a casual look or team up with skinny trousers and heels for the evening. If you are petite choose a Kimono in a single colour to tone in with trousers or coloured skinny jeans to make yourself look taller . If you are long – waisted add a belt to cinch the waist and add some definition. Style with a vintage looking clutch bag and sunglasses and you are good to go! Style Warning – unless you look like Sienna Miller or are 15 do not attempt to wear over cut – off denim shorts! 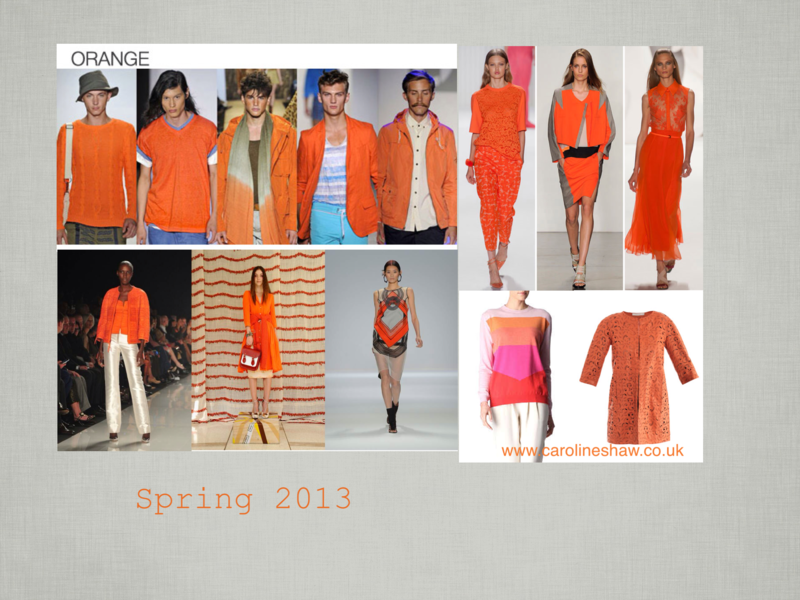 Orange is where it’s at for Spring 13 and is shown in abundance across the catwalk. As it’s a great a unisex colour its wearable for both boys and girls this summer! 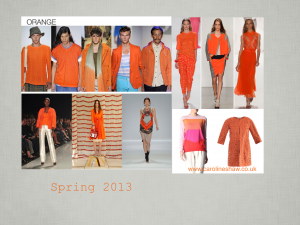 Orange is a stimulating colour being a combination of red & yellow – signifying passion, abundance and fun. Exactly what ‘s needed to get us through these gloomy winter days. As it’s such a vibrant colour it’s easiest to try it out first with accesories such as scarfs or handbags, glasses or a lipstick. Beware ! Wearing too much orange suggests “friviolity and a lack of intellectual values” ! Call me or e – mail if you need any more information or inspiration. We all know that finding stylish footwear for work is a nightmare. All my clients have ask me how to look good and feel comfortable without wearing ballet pumps! It’s such a relief to find that the new shoe trends for Spring 13 not only look good but may actually be comfortable. 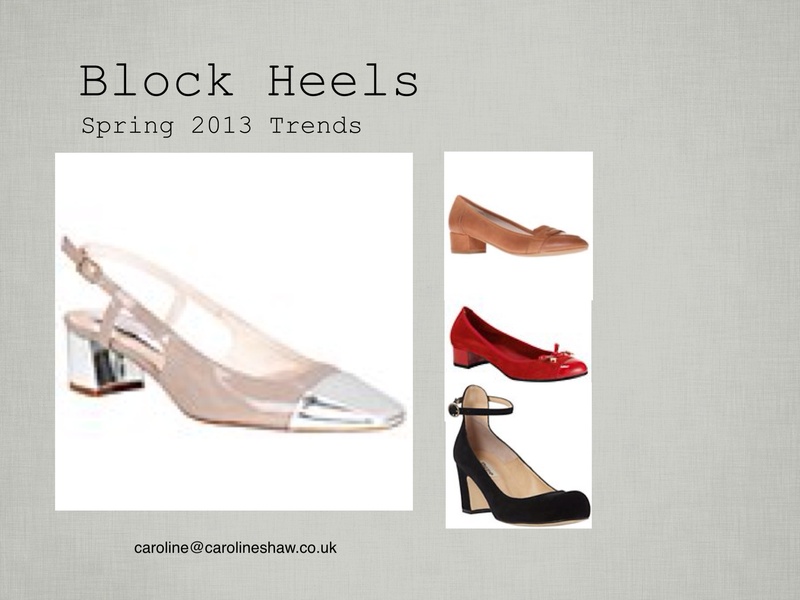 They are a great way of adding height and elegance without breaking your neck in sky high stilettos ! Here’s my guide to the most essential and most wearable shoes on the High Street all above styles are available at www.johnlewis.com. I have selected various styles of court shoes, loafers , sling -backs and pumps to cover all looks and occasions. Gladly this is a trend that will be around for a long while – happy shopping ! Call me or tweet if you need any more help or inspiration . ‘True Blue’ will be the colour dominating the 2012 Spring’s collections . The blue ‘Power Suit’ has made a major return this season taking influence from the recent Oscar winning film “Iron Lady ‘. Meryl Streep is brilliant as Margaret Thatcher wearing a her iconic blue suits. 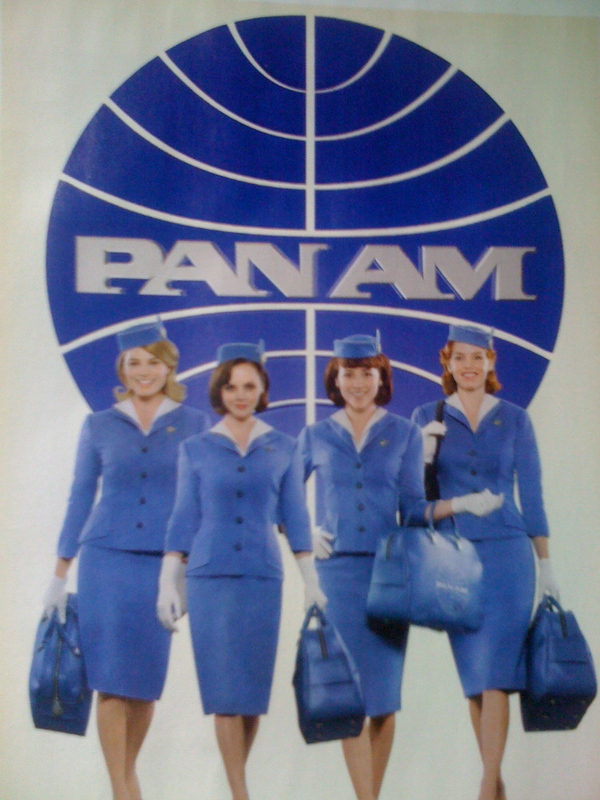 Designers are also being inspired by the retro ‘Pan Am’s ‘ 60’s uniforms as seen in BBC 2’s series with the girls in their powder blue uniforms. 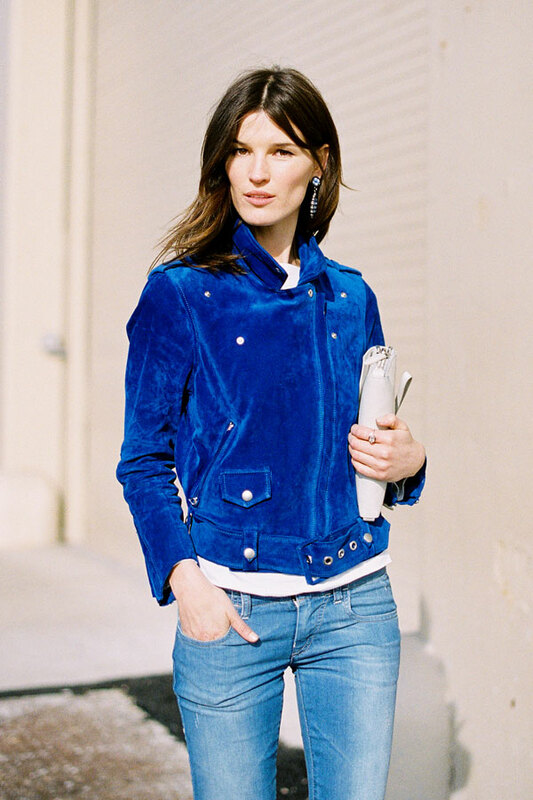 The trend is to wear varying tones and shades of blues in one outfit . Click here for a great blog post from The Womens Room To see how to work this trend . 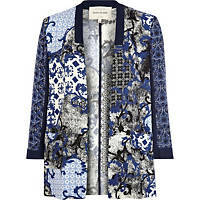 Many designers have featured tones of blues in their Spring collections – Alexander Wan & Stella Mc Cartney’s. In Colour Psychology Blue is said to be the world’s favourite colour. Blue is seen as ” business like’ and gives the illusion of strength and authority. 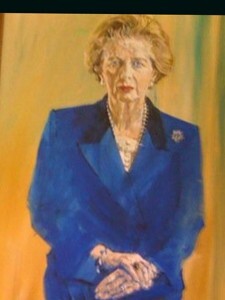 Obviously that why it was Margaret Thatcher’s favourite colour for her suits! Experience has show that men prefer to get all their advice in one trip. In this one day service we can explore your unique Colour, Style and offer a Personal Shopping Trip. Call Caroline now for a Free consultation for help with all your style dilemmas.